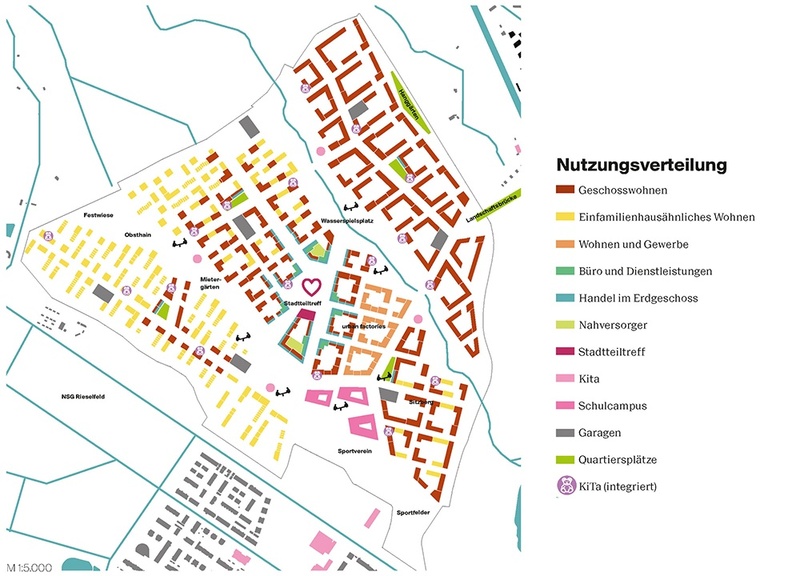 The new "District Landscape Dietenbach" sets high standards for its completeness and its autonomy. 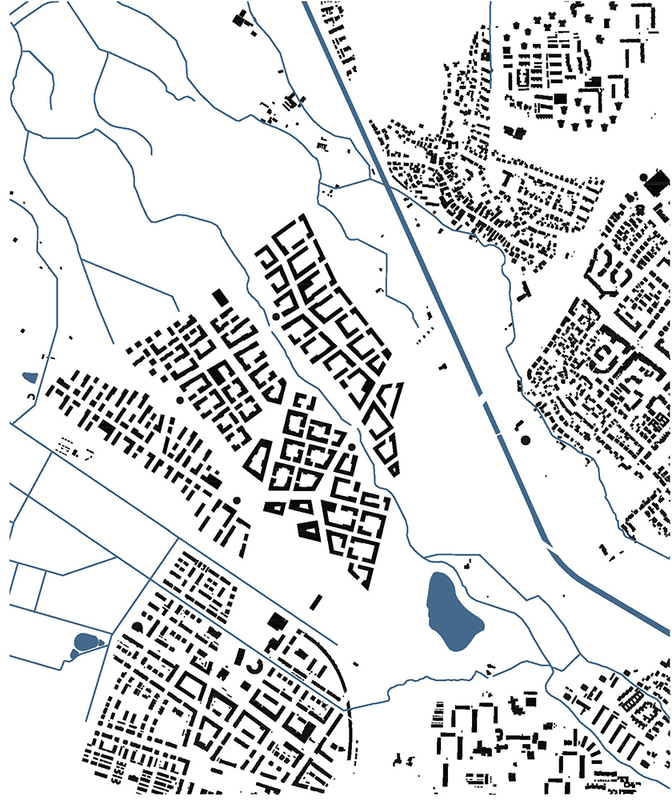 It does not see itself as a mere settlement on the outskirts, but as a densification of diverse spatial and urban elements such as districts, boulevard, center, neighborhoods, junctions, landscape as well as building structures and programs - condensed and superimposed - they merge to a vibrant district, which is independent in his structure and at the same time integrated into the larger urban context and landscape. 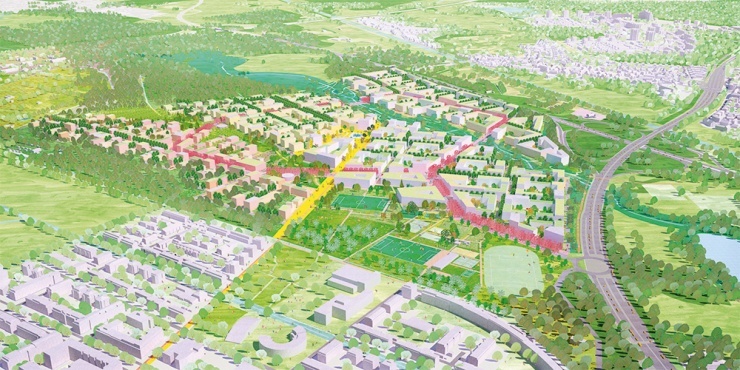 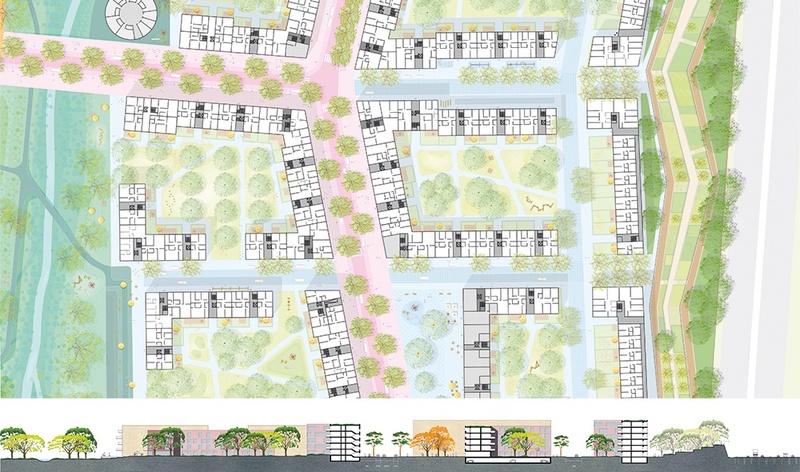 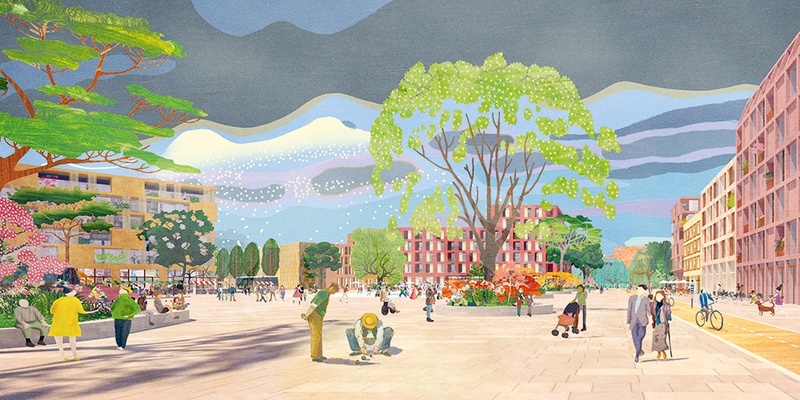 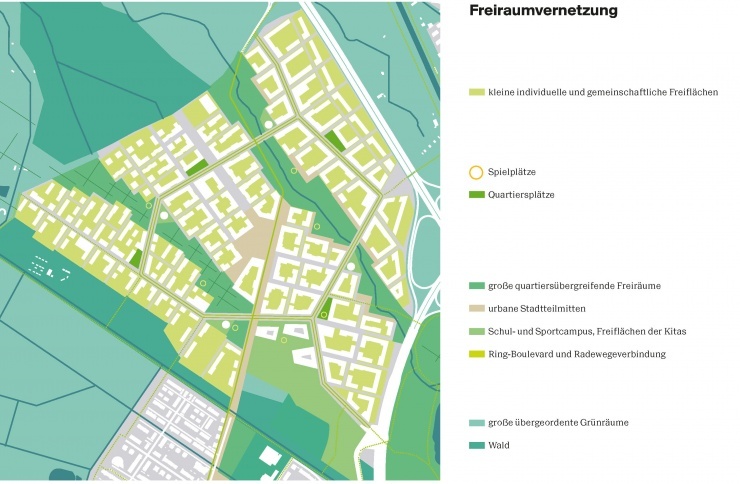 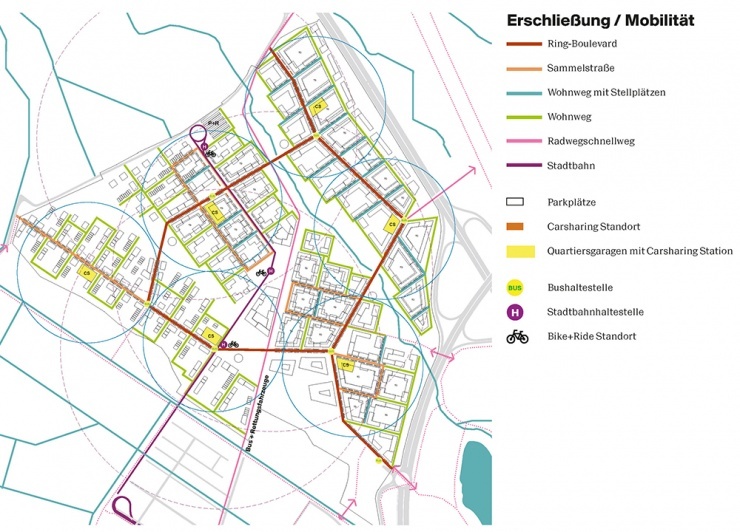 Four individual districts are oriented towards two large open spaces that flow through the new district as well as to the large landscape scenery of Freiburg. 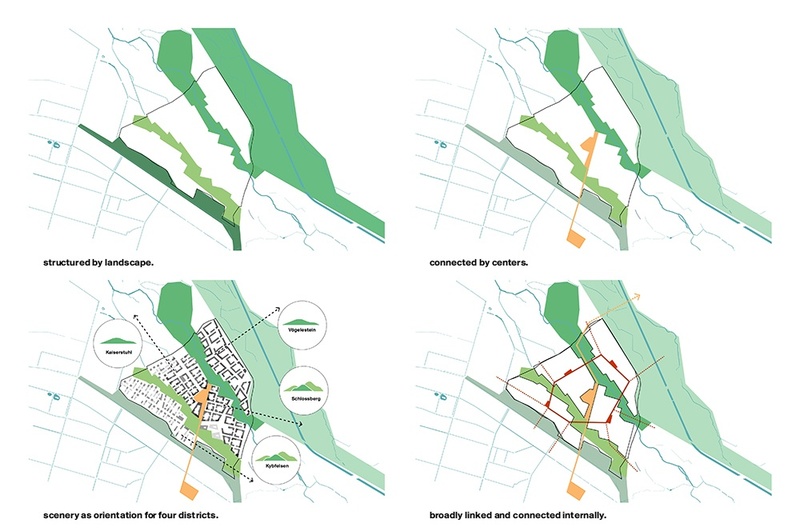 In addition to the small-scale road network, the boulevard connects the districts. 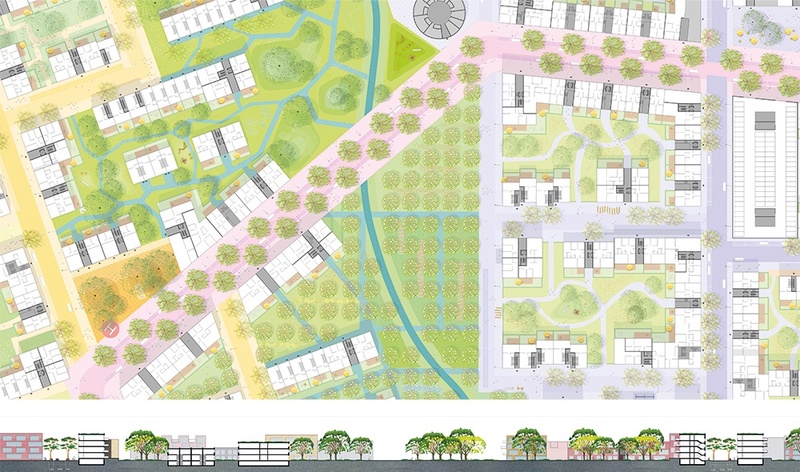 Here you will find a variety of divers usable squares, which stand for urban openness and provide orientation. A new center serves as a local supply center and common reference point with symbolic centrality.